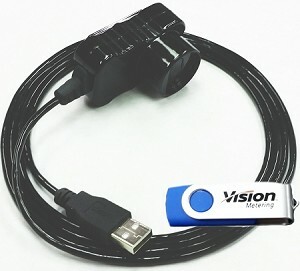 An optical probe with USB interface, widely applied to meter communication such as data reading, parameterization, production lines, on-site service and more. The up-to-date technologies and general application property make it unique among optical probes. The Sentry 410 has a 6’ cable which has a molded strain relief at each end and maintains flexibility from -50 to +100 °C.It conforms to ANSI C12.18 Protocol Specification for Type 2 Optical Ports. Great attention to detail was spent on the probe’s cable. It is designed for heavy use, flexing, and general abuse. The strain relief on each end of the probe is molded into the cable to ensure long life.